AV Riviera is an award winning company providing Audio Visual and Entertainment Systems to superyachts and villas across the French Riviera. Our Marine sector has been steadily growing over the past 8 years predominantly on the French and Italian Riviera’s, however we have worked in the States, Asia and many parts of Europe to undertake projects also. Essentially, we work closely with all major shipyards to undertake any newbuild or refit work as well as working anywhere where the boat is located. From 25m + Vessels to 170m we have any size covered. Our Marine Projects are specially catered to allow a Yacht Owner or Charter guest to get the absolute maximum out of their entertainment Systems. This includes full Device compatibility (for anyone who comes onboard), Internet and Network technologies to work wherever the boat travels, and uninterrupted supply of Satellite TV, Movies, Console Games and Streaming. Our 4G Internet packages are very popular and offer the Yacht another stream of Internet usage. As well as the mobile data packages, we offer full Satellite Internet through KVH and Seatel and can incorporate several Internet Sources in to one Yacht Network hassle free. We also regularly incorporate back to base system monitoring so we are able to keep an eye on the Yacht wherever it is and inform the ETO as soon as a problem or power failure may occur. 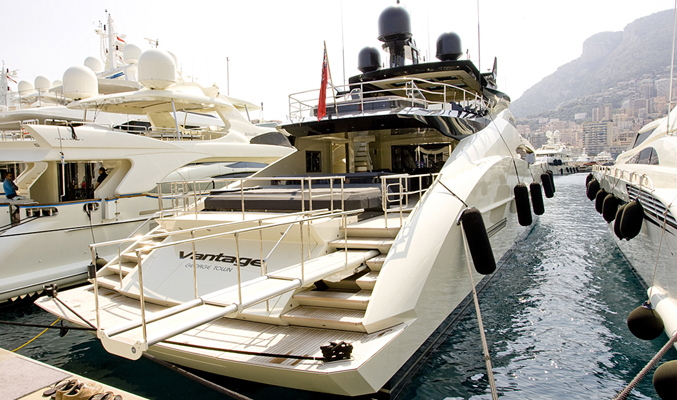 This ensures the reliability of the Yacht Entertainment System which is at the forefront of any Marine Project. While the Marine Sector generally caters for a wide range of Clients using one system, we recognise that the Residential Market is very client specific and we ensure that this need is always met primarily. We ensure that the clients full range of technology requirements are met from Entertainment, Internet, Wifi Networks, CCTV to Security and Extended Audio Systems. Most importantly, we ensure that all our Interface Designs work with the Client, not against them. They are always involved in the design and features of the Touch Panel interface which allows a seamless end user experience and no hidden buttons that don’t make sense. Many of our large Scale Residential Projects have Centralised Distribution of not only Video and Audio Sources, but also Network and WiFi systems throughout the property. We ensure these centralised spaces, or IT Rack Rooms, are fully features with everything they need to run smoothly. We have won many awards in this area for our continuous management of the Centralised Racks. We also have many clients we work with across their entire Property Portfolio, from properties in Central London to the French Riviera, Alpes and beyond. By working simultaneously with all these properties we ensure the client can seamlessly move between them with the feeling that they are still in the environment. This takes shape in the same interface design & general layouts, service contracts and WiFi passwords across the board as well as many other features. We offer all Servicing and Maintenance contracts specifically tailored to the client. This includes any forced stage maintenance (projectors, lamps, cleaning etc..) as well at time specific maintenance according to the Boat or Villa Schedule. For example, quarterly visits timed around the Boat Seasonal Schedule and Atlantic Crossings. Starting from basic IT and system consultancy to complete 24/7 Support, an AV Riviera service contract can be shaped to meet all client needs, making technology issues a distant memory. 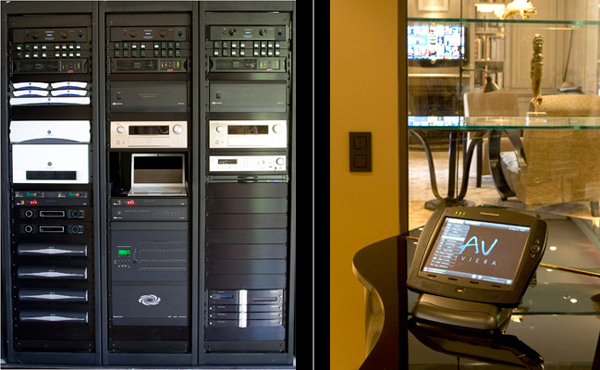 At AV Riviera we believe in providing you our clients with the latest and best technology available to enhance your home or yacht and make your life easier. We firmly believe that great technology should be simple to use and this is the driving force behind every project that we undertake. AV Riviera is led by Gemma Sanders and Dan Palmer who have 30 years combined experience in the high end audio visual market. We have a team of experienced engineers and programmers based in the south of France and in the UK who are all passionate about technology and motivated to provide the best solutions for our clients. Gemma is the sales director and co-founder of AV Riviera. Gemma oversees all of our major projects from meeting the client on day one through to their completion, ensuring that every element of our clients requirements are met and exceeded along the way. This involves working with our design and technical team to ensure that they have a full understanding of a projects requirements. Gemma moved over to Europe from Australia 10 years ago. Prior to this she began her audio visual career fresh out of university with a major in electrical engineering, this was followed up with an electricians trade certificate during her time at her first AV Company. Based in the central business districts of Australia, she worked to build high end video conferencing and meeting rooms for multi national companies as well as carrying out residential projects. Gemma initially moved to the UK for a new challenge which saw her career moving away from hands on installation and over to project management and sales. Gemma successfully ran the marine department of a well known UK company for several years meeting Dan during this time. After meeting her husband and moving to the south of France with him Gemma realised the potential for an AV company that would exceed the current services being offered, this is when AV Riviera was born. Outside of work Gemma enjoys various fitness activities as well as spending time with her young family. Dan is the technical director and co-founder of AV Riviera. Since the companies inception in 2009 he has been the lead in terms of specifying systems and ensuring our clients expectations are met with our bespoke solutions. Dan is also a director of our sister company AV Synergy in the UK which he has run since 2007. Dan spends his time between France and the UK overseeing our current projects and the specification of new ones. Prior to founding AV Riviera Dan had worked in the high end audio visual industry, at the early age of 16 he joined a well respected company who carried out work in the residential and marine markets. In a couple of years Dan became the leading programmer at the company however he always had an ambition to work for himself and so became an independent programmer at the age of 19, leading him to form AV Synergy a few years later. This early experience working with high end projects and clients has proved invaluable and led to him having a work ethic based on high quality and customer satisfaction. Outside of work Dan has a passion for cars and even races a classic mini when he gets the chance! For more information regarding our services and what we can offer you, please email us at info@avriviera.com and we will get straight back to you. AV Riviera have recently won two prestigious Crestron industry awards for 'Best Marine Installation' and 'Best Digital Media Installation'.